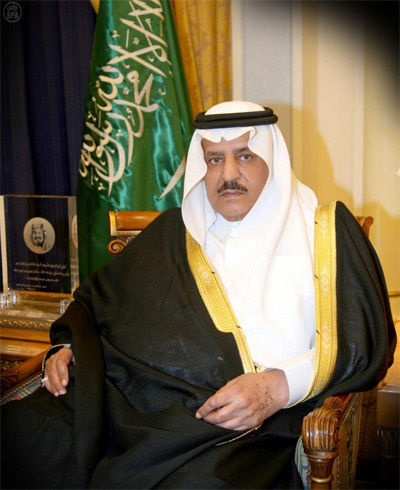 The Royal Court issued today the following statement: ' With deep sorrow and grief, the Custodian of the Two Holy Mosques, King Abdullah bin Abdulaziz Al Saud, announced the death of his brother, Crown Prince Naif bin Abdulaziz Al Saud, Deputy Premier and Minister of Interior, who passed away on Saturday. A funeral prayer will be performed for his soul at the Holy Mosque in Makkah after Maghreb (sunset) prayer on Sunday. The Royal Court condoles the Saudi people on the deceased of the crown prince, praying to Allah Almighty to bless his soul and to reward him for his services to his religion and homeland''. The Prince Sultan Cardiac Center administration and staff proffer its deepest condolences and sincere sympathy to the Custodian of the Two Holy Mosques and to the sons of the deceased and all members of the royal family and the Saudi people, noble in this great loss, asking God to grant the deceased eternal repose and peace.